Notre Dame’s Department of History has significantly broadened and deepened its coverage of China with the appointments of Elisabeth Köll and Liang Cai, two scholars “who are doing extraordinarily exciting and complementary work,” said Madden-Hennebry Professor of History Patrick Griffin, chair of the department. Köll, currently an associate professor at the Harvard Business School, will join the faculty in fall 2015. Cai, an assistant professor, arrived at Notre Dame this fall. 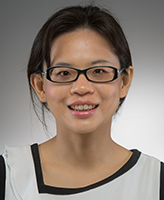 Cai, who received her Ph.D. from Cornell University, specializes in early Chinese intellectual history, with a focus on early historical narratives and the development of early Confucianism and Daoism. “Confucianism dominated Chinese civilization for almost 2,000 years,” Cai said. “It defined its social values, shaped the essential characters of its elite class, and deeply influenced its imperial bureaucracy. It also penetrated other pre-Modern East Asian countries like Japan, Korea, and Vietnam. Combining newly discovered archeological data with traditional sources and digital tools, Cai’s research aims to revise the understanding of early Chinese empires. In her first book, Witchcraft and the Rise of First Confucian Empire, published this year, she offers a new reading of the emergence of the first Confucian empire based on the rich statistical data of Sima Qian, the founding father of Chinese historiography. Her current project, she said, is a book manuscript that will bring to light the major players of early Chinese imperial bureaucracy—the technical bureaucrats—whose voices were lost for about 2,000 years. Exploring the rivalries between those muted bureaucrats and Confucian officials, it will shed new light on the formation of Confucian bureaucracy that dominated Chinese dynastic history for two millennia. At Notre Dame, Cai will teach survey and special topic courses focusing on early Chinese empires and the encounter between the West and the East. Köll, a past president of the Historical Society for 20th-Century China, will join the Notre Dame’s faculty in fall 2015 as associate professor. She received her Ph.D. in Chinese business history from the University of Oxford, where she was a Rhodes Scholar. Her research focuses on the managerial, legal, and financial evolution of firms, industries, and entrepreneurs in relationship to the Chinese state from the 19th century to the post-Mao period. 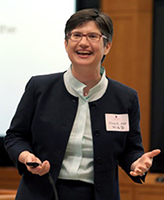 “My methodological approach is strongly influenced by the sociologist Max Weber, who conceptualized the enterprise as an institution in its interaction with economy, society, and state at large, and as a combination of separate institutions such as factory workshops and accounting practices that make up the business operation itself,” she said. Köll studied in Bonn, Germany and at Fudan University, Shanghai as an undergraduate and maintains a research affiliation with the Shanghai Academy of Social Sciences. A government-sponsored exchange program offered Köll the opportunity to experience first-hand a socialist economy dominated by collective units and state-owned enterprises during her undergraduate years in Shanghai from 1986-88. At the same time, the government began a slow and careful experimentation with market-oriented policies. When archives and research facilities became accessible in the 1990s, Köll was able to pursue this question through detailed fieldwork for her dissertation research. Since then she has continued her historical inquiry with intensive fieldwork and frequent archival visits to China, Taiwan, Hong Kong, and Japan. Köll’s first book, From Cotton Mill to Business Empire: The Emergence of Regional Enterprises in Modern China, demonstrates how concepts, definitions, and interpretations of property rights, corporate structures, and business practices in contemporary China can be analyzed in terms of their historical, institutional, and cultural roots. “Although I consider it necessary to borrow Western theoretical models of the firm for comparison and preliminary definitions, I am most concerned with developing a distinctive theoretical concept of the Chinese firm and the role of economic actors in the market without adhering to explanations of ‘Chinese exceptionalism,’” she said. The centerpiece of Köll’s current research is a book manuscript on the development of Chinese railroads and their significance to the economic and political interests of the Chinese state. The book explores the emergence of a hybrid enterprise model that blended U.S. and European models with Chinese institutional characteristics. It also examines the knowledge and technology transfer from the West to China during the initial construction process, and how Chinese railroad companies became the largest white-collar employer of the pre-war economy and pillar of the post- 1949 socialist state-building efforts. Her next book project is a historical study of global knowledge transfer, flows of human talent, and professionalization of the workforce in the evolution of the manufacturing industry in Greater China. She will explore these issues in the context of economic growth and technology diffusion across East Asia from the late 19th century to the post-war period. Upon her arrival at Notre Dame next year, Köll expects to teach courses at various levels in modern Chinese history, with a focus on economy, society, and politics from the late 19th century to the 21st century.